Once the home to an advanced, ancient civilization, the lost continent of Atlantis has become an iconic myth that has inspired philosophers, like Plato, and writers, such as Jules Verne. 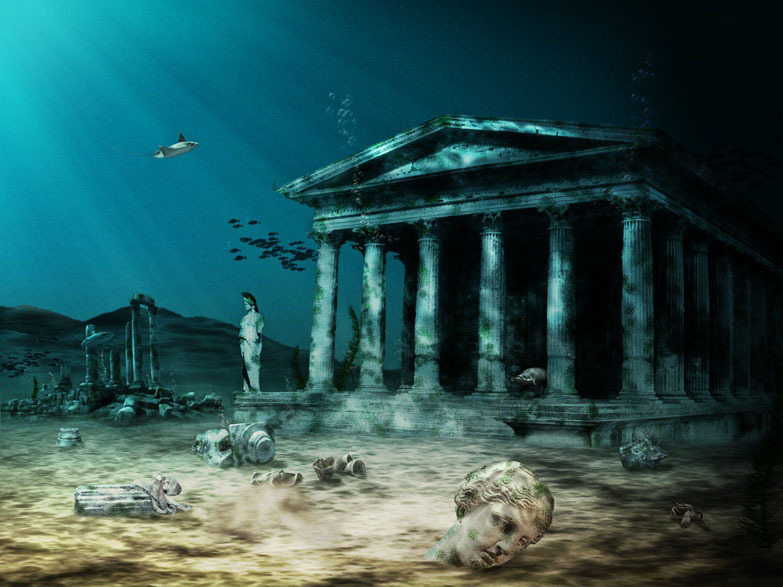 Often, we imagine Atlantis as crumbling columned ruins in the thick of seaweed and moss or a pristine sunken city, still inhabited by a mysteriously intelligent and hardy race. Yet, no matter the depiction, the majority of the world reveres the lost city as a reality. 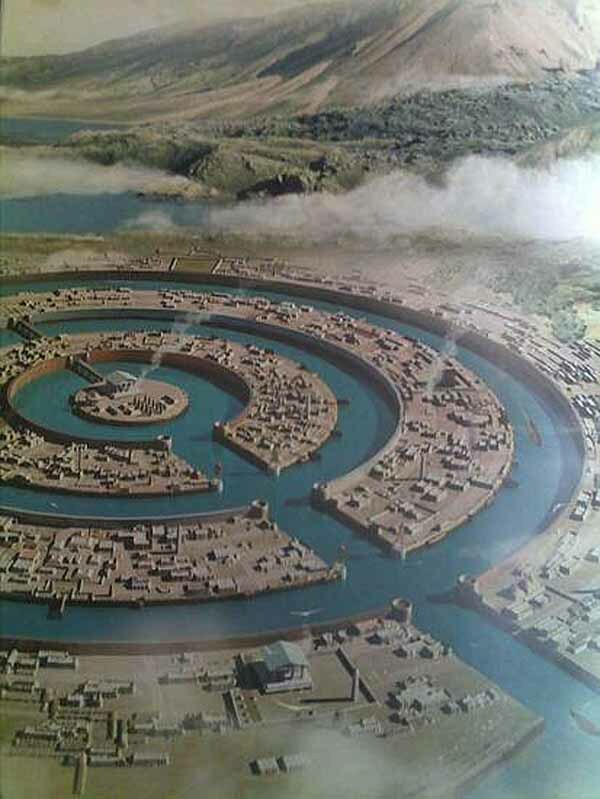 Hundreds of books have reconstructed the image of Atlantis drawing from mythology, archaeology, and geology and conclude that the Atlantean civilization was completely destroyed by a colossal catastrophe about 12,000 years ago, perhaps via a natural cataclysm, such as an asteroid impact or the Earth’s crust opening to swallow them. But perhaps they destroyed themselves through their mad experiments. Either way they are theorized as an advanced civilization, likely more advanced than our own society, through their use of crystals, which could be the force that wiped them out. According to Plato, the Athenians led a successful resistance of the Europeans against the Atlantean forces, which were ruled by group of kings descended from Poseidon. The chief king descended from Atlas, Poseidon’s eldest son. The people were viewed as godlike for their pure hearts, but due to their divine blood, they faded into corruption and greed—much like the advanced civilizations of the twenty-first century. 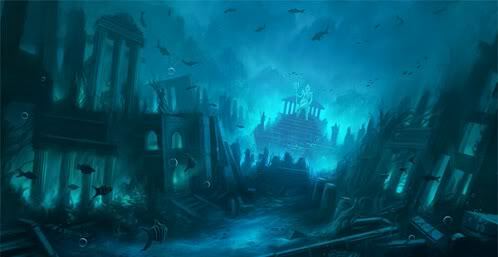 After the Atlanteans were defeated, the gods decided to punish them for their pride. Plato writes, “There were earthquakes and floods of extraordinary violence, and in a single day and night…the island of Atlantis disappeared into the depth of the sea.” When the earth swallowed up the island, it also took with it the people and the campaigning army. To learn more about Plato’s Atlantis, click here or here. For a more in depth look at the theory of Atlantis (specifically as a lost continent in the Java Sea between India and Australia), click here. To learn more about my rendition of the Atlantean myth, click here.